The user centers of the Hemasoft e-Delphyn solution for Cell Therapy, Hospital La Paz and Hospital Niño Jesús, have been selected as reference Hospitals by the Community of Madrid, Spain, to offer the first CAR-T Therapies as a prelude to the other regions in Spain. e-Delphyn BB program unifies the data of all the managements, incorporates the mechanism of electronic request for transfusions from the Mambrino XXI platform and allows to attribute to each blood component a unique international code to identify it with absolute accuracy. 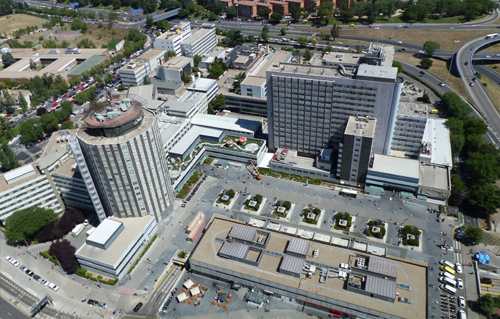 The General University Hospital of Ciudad Real is the first in the entire territory of Castilla-La Mancha that completes the process of implementation of the e-Delphyn BB program, with which the Sescam aims to centralize in a single record the management of services and data of Blood Banks in hospitals and transfusion centers in the region. This program includes both the processing of blood components and the monitoring of donations, as well as their distribution, storage, transfusion and different blood studies. The regional coordinator of the Hemodialysis, Hemotherapy and Hemovigilance Network of CLM, Elena Madrigal, explained that this e-Delphyn BB system "represents a very important qualitative advance", as it changes to "a single centralized and shared web system" , which is now "independent in each management". The operation is an important step for the growth of Hemasoft: GPI Group is a large company that suits the features to back Hemasoft up in its development path. GPI is big enough to seize the opportunities of the global market. Its economic and financial indicators, the entity and quality of its references, the completenss of its offering allow GPI to take part in the international competition, keeping the balance of its Structure. Hemasoft brings along its assets. GPI has a widespread distribution in Italy (30 branches and more than 300 on-site units at customers’ site) and in Austria, Germany, Poland and Chile. It boasts an interesting network of world-wide customers and partners. Hemasoft adds its network on to GPI, with a steady presence in Spain (two branches), in the USA and a world-wide network of partners and dealers (60 Countries). 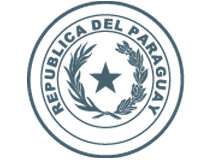 oth GPI and Hemasoft boast a thity-years long entrepreneurial story with remarkable reputational assets and operative expertise gained on the field. 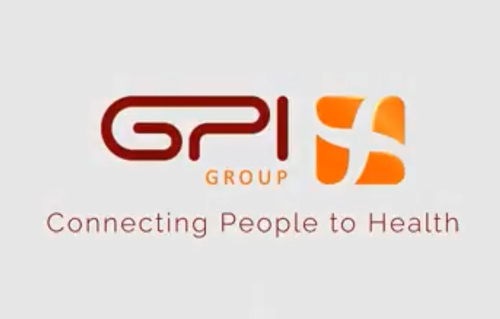 GPI group boasts great domain expertise in the Healthcare and Social sectors. The M&A policies stacked expertise to expertise in time, allowing to arrange a wide offering that combines technological IT experiences and design and consulting competences. GPI works in several business areas: IT Systems, Healthcare Services (BPO - Business Process Outsourcing), Pharmacy Logistics and Automation, ICT Infrastructures Systemic Services, e-Payment Solutions. The highly specialized Hemasoft solutions for the blood-and-derivatives supply chain is a further important value element in the economy of GPI Group: the excellence of the Hemasoft solutions will distinguish the GPI production in this specific field which shows a high development potential. On the sales side, the integration GPI-Hemasoft broadens the customers portfolio and potential targets. The integration boosts the development of Hemasoft while assures the management continuity that will operatively sustain industrial cooperation. Industrial, technological and operative sinergies of the GPI Group – Hemasoft integration will foster a better positioning on the international markets, multiplying the business opportunities, favoring interesting cross-selling initiatives, widening the reference network leading to even better and more positive results. 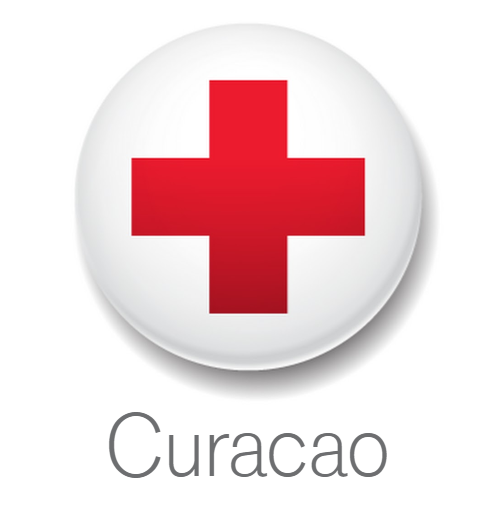 Hemasoft announces that our e-Delphyn Blood Management Software has been successfully installed in the Red Cross Blood Bank Curaçao. Prof. Dr. Ashley Duits, director of the Red Cross Blood Bank Curaçao, writes "First day implementing the e-Delphyn software at the Red Cross Blood Bank Foundation. A Total SUCCESS. Red Cross Blood Bank Foundation, congratulations. Great work team." September 2016 - Dubai - ISBT Congress. La Fe Hospital in Valencia has published the advantages of implementing e-Delphyn since 1996 at ISBT Congress in Dubai. Blood Bank. Hematology Service. Hospital Universitari i Politècnic La Fe, Valencia, SPAIN. Since the beginning of the 20th century when the first tests for blood compatibility were performed, there have been many important developments in the transfusion area. Probably one of the most significant is related to advances in technology. We want to analyse the impact of the electronic management of transfusion on errors reported in our Haemovigilance program. Transfusion procedures at our hospital included: Patient identification with a hand badge carrying a transfusion security code before sample collection, registration of samples in a transfusion software, component selection, automatic compatibility tests, and checking blood component label and patient hand badge before transfusion at bedside. 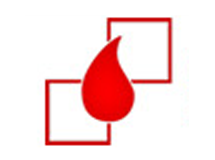 The Blood Bank Software, implemented since 1996 to the present, in web technology (e-Delphyn - Hemasoft Company), permits the electronic cross match, establishs conditions for blood components liberation (Irradiation, etc), connection in bidirectional way with autoanalysers and other devices for electronic control of all transfusion steps. Events in any phase of transfusion procedure during the period from 2000 to 2015 were reviewed from our Haemovigilance database and classified in errors in blood component administration (BAE) and events that was detected before administration (NME). A significant number of mistakes can occur during the transfusion procedure. In our experience, the BAE due to errors in compatibility testing, sample extraction and registries are infrequent, suggesting that the use of a specific hand badge, analytical test automation and electronic management of transfusions is effective to reduce the errors. 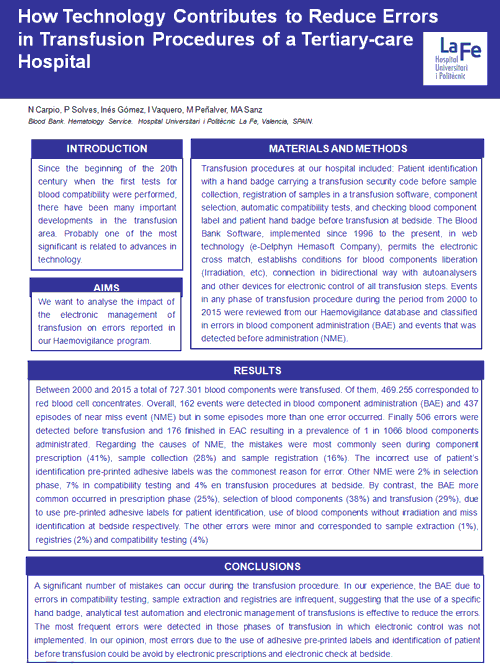 The most frequent errors were detected in those phases of transfusion in which electronic control was not implemented. In our opinion, most errors due to the use of adhesive pre-printed labels and identification of patient before transfusion could be avoid by electronic prescriptions and electronic check at bedside. 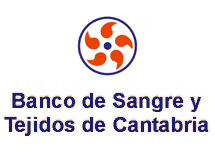 February 2016 - Spain - Public Entity of Cantabria for the Blood and Tissue Bank. Hemasoft has been awarded for the implementation of e-Delphyn into the Public Entity of Cantabria for the Blood and Tissue Bank (Spain). The implementation of e-Delphyn will allow the integrated management of donation and transfusion of the Cantabria´s Transfusion network. As part of the project, the installation of the e-Delphyn solution for Tissue Bank. 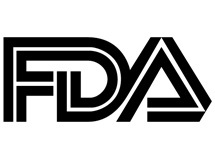 Hemasoft is very proud to announce that our e-Delphyn Blood Management Software, V 7.1.0.0 has been cleared by the FDA. Our 510(k) submitted in August this year was cleared by the FDA on 24/10/2015 with this 510(k) number: BK150300. Hemasoft is exhibiting at the AABB annual meeting in Anaheim, CA on booth # 1061. March 2015 - Spain - Central Hospital of Asturias. Hemasoft´s e-Delphyn Software suite has been interfaced for the first time in Europe with the Hospital Management Software Cerner Millennium provided by Cerner Corporation. This is an important milestone for Hemasoft´s e-Delphyn Transfusion Module which will also be interfaced to this application soon, in other parts of the World. In the Central Hospital of Asturias context, Cerner Millennium sends patient demographics to e-Delphyn which in return sends the analytical/testing data back to Cerner in order to maintain a centralized Patient Record in one single place. e-Delphyn also completes the Patient Record with Transfusion data sent to Cerner´s unique Patient Record. This model has been developed and deployed by Hemasoft in many Hospitals using various HIS but this first interfacing with Cerner completes the list of recognized patient administration software supported by e-Delphyn. 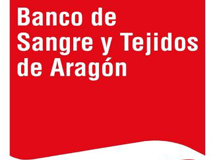 December 2014 - Spain - Public Entity of Aragon for the Blood and Tissue Bank. Hemasoft has been awarded for the implementation of e-Delphyn into the Public Entity of Aragon for the Blood and Tissue Bank (Spain) including the Transfusion Center and the 11 Hospitals Public Network. The implementation of e-Delphyn will allow the integrated management of donation and transfusion of the Aragon´s Transfusion network. As part of the project, the installation of the e-Delphyn solutions for Tissue Bank and Milk Bank are included. December 2014 - Paraguay - Ministry of Public Health and Social Welfare of Paraguay. September 2014 - Mexico - Hemasoft has collaborated with Dometic on the success of the very first worldwide implementation of a RFID (Radio Frequency Identification) Blood Traceability Solution. 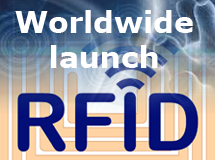 The worldwide RFID Launch has been organized in Veracruz (Mexico) from the 28th September to the 1st of October 2014. More than 200 international guests have been invited to discover the solution installed at the Centro Estatal de Transfusion Sanguinea in Veracruz, where the e-Delphyn Web based software solution for Blood Banks has been deployed in 2013. July 2014 - Tanzania - Electronic blood transfusion tracking system launched. In a bid to improve blood transfusion services in the country, Tanzania National Blood Transfusion Services (NBTS) has launched Blood Establishment Computer System (BECS) to help track blood transfusion services from the donor anywhere in the country. The system will among other things keep the data base of donors and automatically send a text message to those eligible for next donation. BECS was launched by the first lady Mama Salma Kikwete in Kigoma last week at the climax of World Blood Donor Day (WBDD) which was hosted by Kigoma Region. 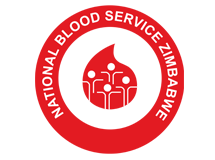 According to NBTS Information Combination and Technology (ICT) officer George Mpopo, the system will help eliminate human errors in blood transfusion services and hence improve the efficiency of blood transfusions. Speaking to the Guardian recently at the Evidence for Action Offices (E4A) in Dar es Salaam, Mpopo said, the system which now replaces the old manual system will help NBTS manage blood donor information, collection, testing, processing, and storage, distribution of blood to hospitals and transfusion of the collected blood. He said besides recalling donors for the next donation, BECS will also help NBTS identify safe blood donor pools, to be invited for next donation. ´The system is also capable of rejecting unsafe blood donors,´ he said. ´BECS will create a data base of people donating blood and their blood status, so if someone is found to have transfusion transmissible infections their blood will automatically be red flagged,´ he detailed. In the past, before BECS system, NBTS relied on manual paper work in record keeping of the donor, analysis, storage and distribution of blood and blood products but now the system will also help NBTS counselors educate those found with HIV or Hepatitis B and C negative. ´Improving awareness of risk behaviours among blood donors will help reduce the number of new infections among the would be and current blood donors,´ Mpopo said. E4A country director craig John Ferla lauded NBTS for launching BECS saying blood safety is paramount importance given growing concerns of blood safety with respect to transfusion transmissible infections like HIV, hepatitis B and C and syphilis. ´What is also good is that with BECS in place NBTS now can recall only those with safe blood for a next donation when they are due, and hence save resources and ensure that the blood collected isn´t thrown due to transfusion of transmissible infections´, Craig said. 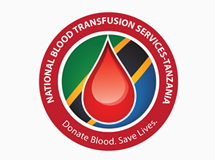 Notably, the establishment of BECS by NBTS Tanzania has been facilitated by funding support from Association of American Blood Bank (AABB). Kenneth Simbaya. Source: The guardian. June 2014 - Croatia - Challenges in the establishment of National Blood Transfusion Service with the unique National Blood Transfusion in system e-Delphyn in the Republic of Croatia. Informatization along with effective National Blood Transfusion Service (NBTS) is a precondition for quality and safe transfusion therapy. After the Croatian War of Independence ended in 1995, we recognized the necessity of establishing such a transfusion service in our country. This paper describes the activities taken in the past 18 years in order to accomplish our professional vision, i.e. to establish the Croatian National Blood Transfusion Service (NBTS) with the National Blood IT (Information Technology) Transfusion System implemented. Our intention was to create national consistency in order to improve blood donor and patient care and safety, and to provide the environment in which blood donor and patient centered information can be safe, but easily and quickly shared. 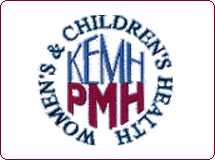 1996-2004: Croatian Professional Body submitted the Project for NBTS Restructuring to the Ministry of Health (MoH) four times. 2005-2011: Accession negotiation (Croatia joined European Union (EU) 2013); Accession Partnership Document (2008/119/EC), Chapter 28, Consumer and health protection - conditions: restructuring of NBTS to meet EU technical requirements. MOH was set as the Competent Authority for Blood, Tissue and Cells. 2006-2013: Adoption of five Ordinances related to the field of Blood Transfusion, in compliance with EU Directives. 2009: National Blood Policy, first version. 2009-2013: Croatian Institute of Transfusion Medicine (CITM) became beneficiary of IPA project HR2009-03-28-11 (instrument for Pre-Accession Assistance) Strengthening the Institutional Capacity for Blood, Tissues and Cells. The overall objective and project purpose were: restructuring and Informatization of NBTS. 2010-2014: Collection, blood component production - reduced from 21 to 8 centers. 2010-2012: Serological testing of blood borne pathogens - reduced from 21 to 5 centers. 2013: ID NAT testing of blood borne pathogens now organized at a single center, CITM. 2007: MoH source of funding, public tender, selection, contract. 2008: IT Action Team (eight members) and IT Working Group (four members). 2008-2011: Development and adaptation of software, education and training, IT equipment installation, VPN network, verification, parallel work. 2011 May 1: e-Delphyn IT system (Hemasoft) first implemented in CITM daily routine. 2011-2014: e-Delphyn IT system implemented in 8/8 (100%) Blood Establishments (BE) and in 20/35 (57%) Hospital Blood Banks (HBB) as a unique NBTS IT System. Restructuring and informatization of the Croatian NBTS are permanent activities due to the expected future stringent standards for blood collection and processing and transfusion therapy. The forthcoming is: progressive merging of BE, National Blood Policy, National Coordinated Quality System; e-Delphyn IT system: further development and upgrades, connection of the remaining HBB into IT system. Croatia could be the first country in the world with all the BE and HBB centers connected in one National Blood Transfusion IT System. June 2014 - Croatia - Final successful stage of the National deployment of e-Delphyn. Hemasoft is proud to announce the final successful stage of the National deployment of e-Delphyn throughout Croatia. Croatia finalized the implementation of e-Delphyn in all regions and Hospital networks of Croatia, joining the growing number of countries deploying e-Delphyn Nationwide. Bruno Rousselin, VP of Global Business Development, commented: ´Hemasoft is currently implementing its solutions in other regional and national deployments. The acquired experience with Croatia is clearly positioning Hemasoft as one of the main IT solutions provides for Transfusion Medicine in Europe´. 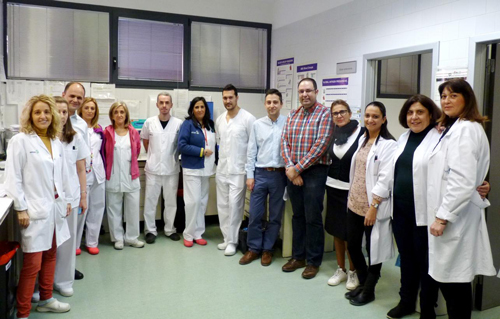 June 2013 - Spain - e-Delphyn Transfusion in Hemomadrid. Hemasoft is proud to announce that Hemomadrid, specialized company offering Hematology and Hemotherapy services, has installed e-Delphyn Transfusion Software in a centralized Housing environment comprising more than 10 hospitals and health centers. June 2013 - Zimbabwe - Migration to e-Delphyn Blood Bank in the National Blood Service. It's always nite to receive this type of comments from our customers, especially when they can establish a fair comparison of our products and services with other vendors. Hemasoft has now a long track record of successfully migrating other systems to e-Delphyn. We will soon post other success stories of recent migrations. "The beauty of change is with us as we have waved goodbyes to the Progress System and open our hands wide open for the e-Delphyn System. The e-Delphyn System from Hemasoft. The e-Delphyn System came as an advantage to a greater extent. It subtracted longer processes we used to experience so as to reach the destination using the Progress System. Things like bulk take-off, separation of panel bleed	donor printouts, printing on the noisy and slow dot matrix printer, need for the supervisor´s pass word every time one need to view donor pack numbers and correcting errors, the hustle of always approaching the I.T crew to merge donations for us to list but a few. The e-Delphyn System has a marvelous tracking system that one is able to view/track the work done at the end of the day. Some of the information that can be tracked/viewed is the time the donor form was captured, the personnel who captured the information, donation type, bag type, gender and it is very possible to view work done in other Branches. May 2013 - Mexico - e-Delphyn Blood Bank. 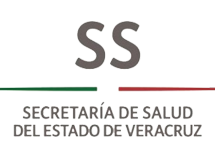 Since May 2013, Centro Estatal de Transfusión Sanguínea de Veracruz (México) has been Live with the e-Delphyn BB solution. In the coming weeks, eight additional centers in Veracruz State will join the project, managing blood donations and transfusion activities in a centralized environment. February 2013 - Chile - Blood Centers and Hospitals. 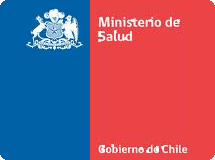 Hemasoft Software proudly announces the new multi-site e-Delphyn BB installation centralizing blood donations and transfusion services in Santiago de Chile Blood Center and seven associated hospitals. August 2012 - Chile - New contract. Hemasoft expands its presence in South America signing a contract with the Instituto Metropolitano de Sangre y Tejidos in Santiago, Chile. Pedro Pereda, CEO of Hemasoft quoted "We are proud to bring our e-Delphyn® technology to one of the most prestigious establishments in South America. Hemasoft will deploy e-Delphyn® Blood and Tissues modules to the main Blood Center while connecting a network of 9 Hospitals to the main Blood Center through our Web-enabled solutions. June 2012 - Australia - Human Milk Bank. Our partner in Australia, ALSG has finalized the agreement with King Edwards Memorial Hospital in Perth, Australia to deploy e-Delphyn® Human Milk Bank solution. Bruno Rousselin, VP of International Sales and Business Development commented "Hemasoft is signing its first contract in Australia thanks to its fruitful partnership with ALSG. Prof. Ben Hartman, recognized worldwide as an expert in Human Milk Banking has decided to deploy e-Delphyn and use the Donor, Manufacturing and Hospital traceability capabilities at Kind Edwards. We are optimistic this contract will lead the way to more deployments of e-Delphyn in the region soon". May 2012 - Chile - Blood Centers and Hospitals. Our customers at the Blood Center of Concepcion, Chile is now live with e-Delphyn® Transfusion with more than 17 hospitals connected. Pedro Pereda, CEO of Hemasoft commented "We are very happy to see more sites in Chile joining the long list of South American customers using e-Delphyn® Transfusion. This deployment reflects the multi-site capabilities of e-Delphyn and how Hemasoft can provide a Donor-to-Recipient solution connecting the Blood Center to its Hospital users". May 2012 - Bahrain - King Hamad University Hospital. 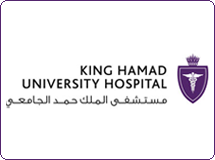 Hemasoft is proud to announce the current deployment of its e-Delphyn LIS solution at one of the largest and most prestigious hospital in the Middle East region: King Hamad University Hospital in Bahrain. 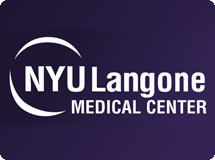 December 2011 - USA - New York University Medical Center. 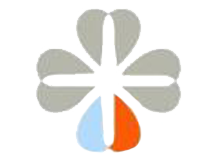 Hemasoft is proud to announce that NYUMC will soon use its e-Delphyn® Cell Therapy Solution. Bruno Rousselin, VP of International Sales & Business Development quoted "Providing our solution to a worldwide renowned establishment like New York University Medical Center is a major accomplishment for Hemasoft. Our company is helping hundred of customers worldwide to ensure the safety of their processes every day by using our solutions. 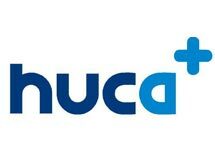 We are proud that NYUMC is now joining the list of our prestigious customers...".